Jessica Mulroney is doing things again. You may remember the Jewish mom from the royal wedding, or from acting as stylist to her now-royal best friend, Meghan Markle, or from travelling to Australia to be with Markle on her first royal tour… or you may not know her at all. That’s OK! Mulroney, 38, is one of the few people in Meghan Markle’s inner circle. And she’s still figuring out the ropes of being affiliated with a member of the royal family — including what she can, and cannot, post on her Instagram. Last night, December 10, Meghan made a surprise appearance at the British Fashion Awards to present an award to the woman who designed her wedding dress: Givenchy’s Clare Waight Keller. Sidenote, though not a surprising one: Meghan looked amazing! So, where does all this leave our favorite Jewish mama, Jessica Mulroney? Well, the high-profile friend took to her Instagram stories last night to post an image from the British Fashion Awards, writing, “My angel. Beauty, grace and strength personified” — which , of course, some took as a nod to the drama rumors swirling lately. However, regardless of the intent of the post, it seemingly was a no-go w the royal family; by morning, Mulroney had deleted her Instagram story. 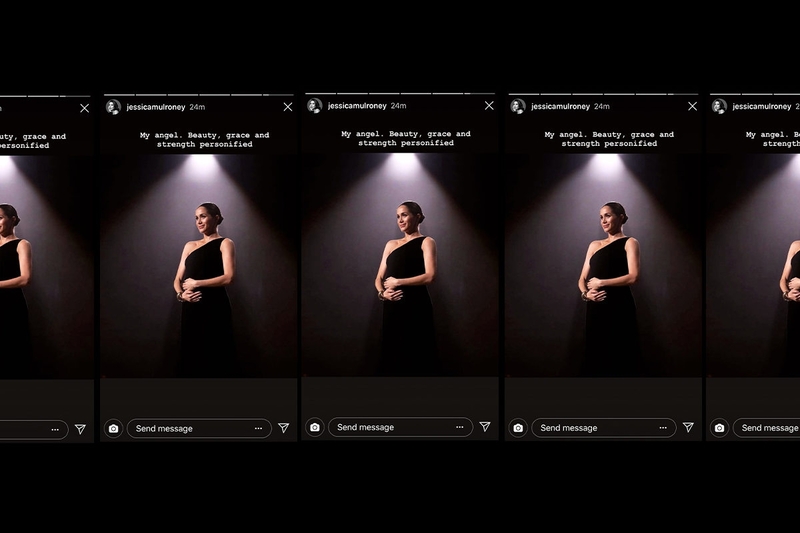 This isn’t the first time Mulroney has posted something about the Duchess of Sussex this year — it’s just the first time (that we’re aware of) that she’s had to delete it. In September, she posted about Markle’s first royal project, writing “Very proud of you today.” Even though the “you” was never clarified, we all know who she meant. So, in summary, here’s what we’ve all learned today: If your best friend is a member of the royal family, be careful about what you Instagram stories. (In fact, this is advice we should all keep in mind, regardless of how un-famous your pals may be.) Got it?